Nature is incredible and so does its product, so why don’t you think about building an incredible website on organic topics? A cup of tea in the morning will push your energy up, so let get ET Tea to describe your passion. 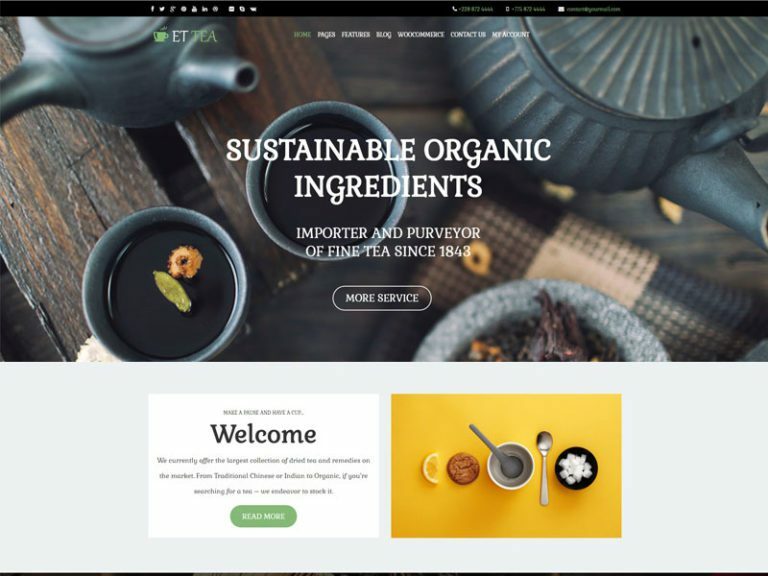 First of all, ET Tea is a premium Organic WordPress theme comes with free cost, it is fully responsive layout and has clean design bring fresh look. Furthermore, this theme builds with Genesis Framework, shopping cart support by WooCommerce. The template is supported by Google Fonts and search engine friendly. In addition, it provides users a huge stock photos to add into content and make it more attractive, you can also manage content through Admin Panel with ease. 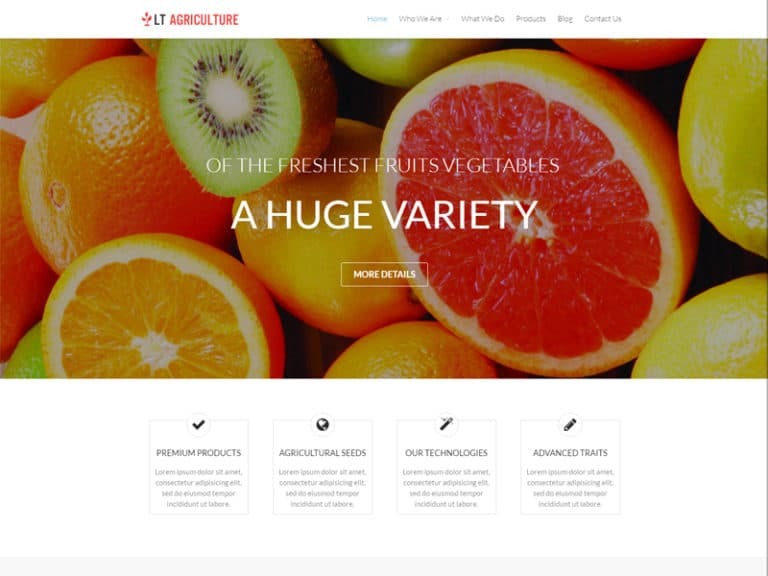 LT Agriculture as its name targets for agriculture and farmer websites. 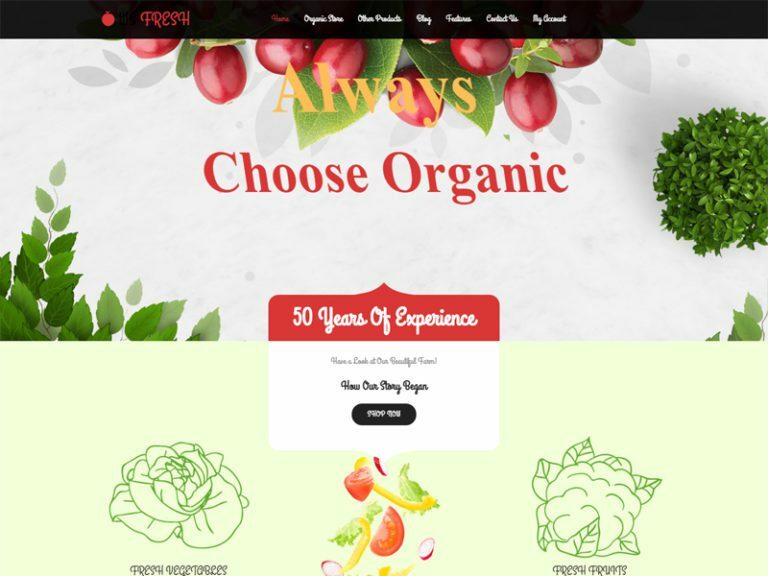 Besides, LT Agriculture is Organic WordPress theme, hence, it is use for promote family farming operation, agribusiness development corporation agricultural organizations on the Internet by providing the most fresh and organic food image. Moreover, it is 100% responsive template that adapts to the screen resolution of all mobile devices – smartphones, tablets and desktops. What’s more, comes with many cutting edge features such as powerful shortcodes, drag-drop layout content, Bootstrap CSS & Hybrid framework. Drink tea is the art of life and therefore tea it must be very fresh. 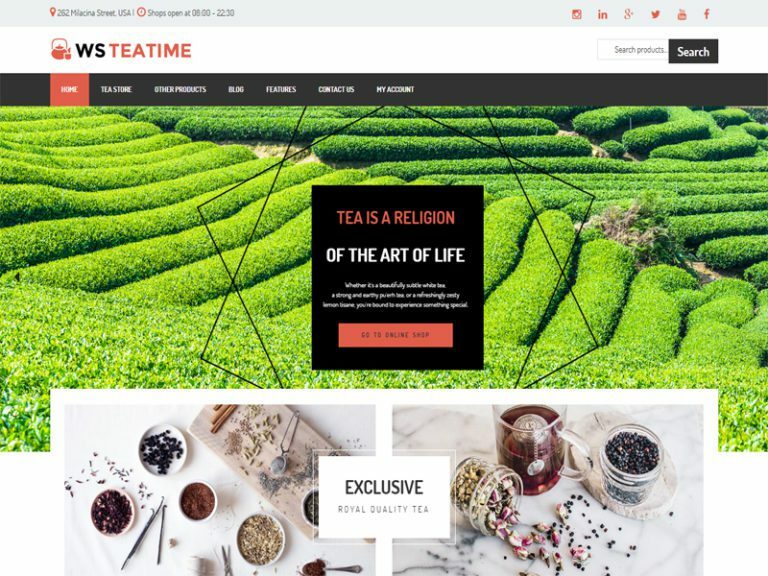 WS TeaTime tailored for Tea Organic WordPress theme and WooCommerce theme. Firstly, it provides online interface allows customers to easily buy your products for delivery through online ordering systems. Secondly, it has fully responsive layouts with well organized documentation, so your customers can read your content and information with ease and interesting. What’s more, it integrate the latest features of WordPress to highlight your content among the other. ET Fruit bring you to organic world directly by its colorful fruit’s images, its responsive layouts, and its name. ET Fruit is accessible via all desktop and mobile devices. Besides, it also have powerful parallax effect useful for optimized, integrate social media options. Look for no further! 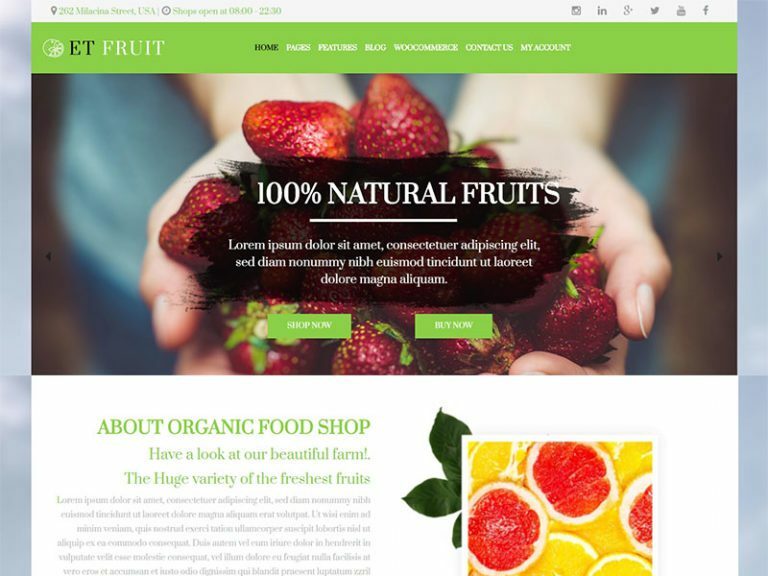 WS Fresh is an ideal option to display your Organic WordPress theme, since it targets for vegetable and fruit order websites. What’s more, it comes with eye-catching design, responsive layouts are well arranged, light color schemes. Additionally, this theme created payment methods that help customers easily buy your products for delivery through online ordering systems. LT Tea is use for present the types of tea, its styles and classification in a very effective way. It is simple and clean template, it also serve the best quality to add media or your fresh image in order to completely show your quality and professional. 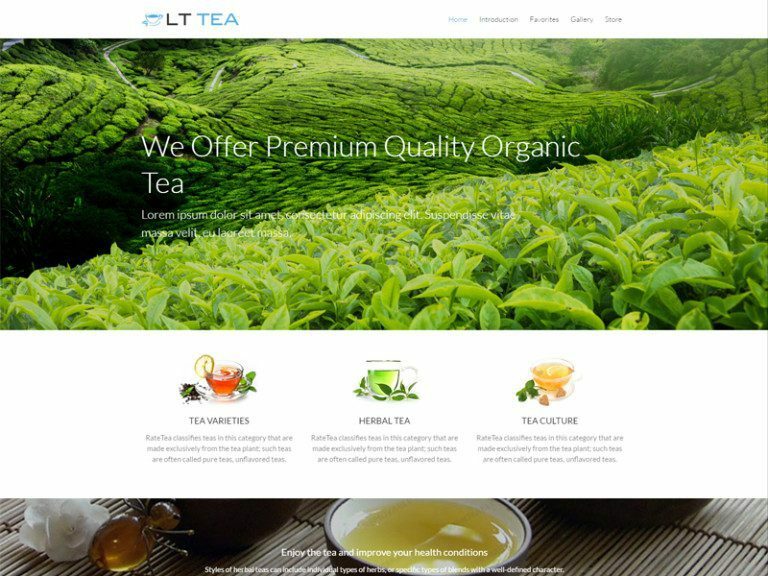 What’s more, LT Tea comes with a responsive and mobile-friendly design that makes your website look spectacular across all screens, tablets and mobile devices. Besides, it have the latest features such as strong shortcodes, highly customizable theme options, unlimited color and a color picker in the admin panel. 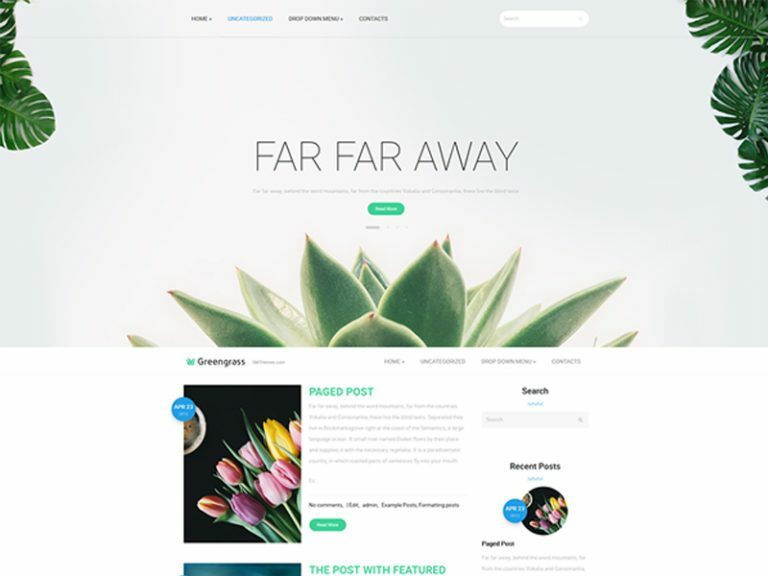 It is deserve the perfect option for Organic WordPress theme. 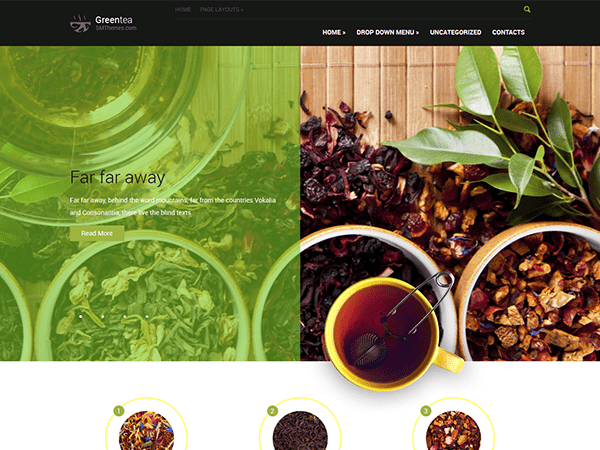 Here we come with tea theme again, GreenTea – it is clean and modern WordPress theme for Organic topic. Greentea offers you ability to make a company website with a properly composed contact page. Moreover, thanks to a wide range of layout options and blog page you have amazing home page which can be even transformed into landing page. Last but not least, it have search engines friendly interface, responsive layout, and beautiful design. OrganicWeb make every thing seems so fresh and natural. It comes with beautiful layout and green is dominant color, theme’s design are luxurious and perfectly. Besides, this template is compatible with all web, mobile and tablet, an indispensable condition for Organic WordPress theme. 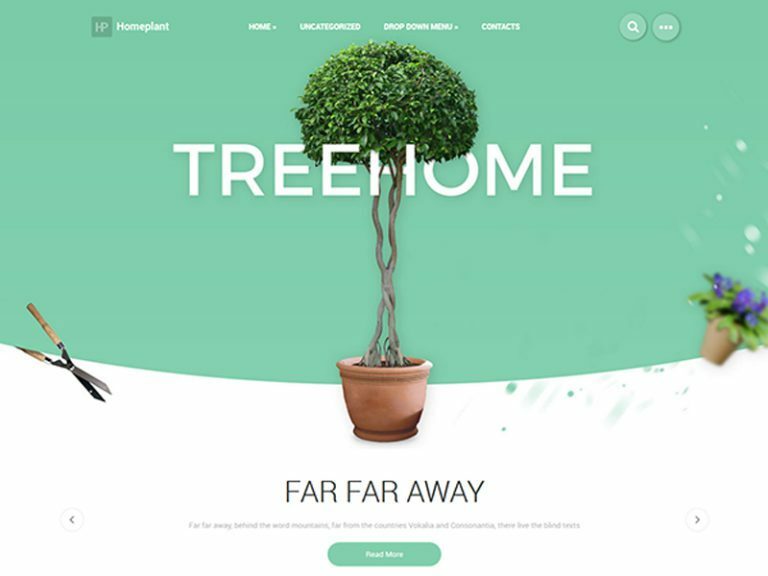 Bring the nature to your house – HomePlant targets to Organic WordPress theme. It has appealing design in green and white hues look fresh and attractive. Furthermore, the theme have great customers service and well organized documentation that can please even the most demanding client. 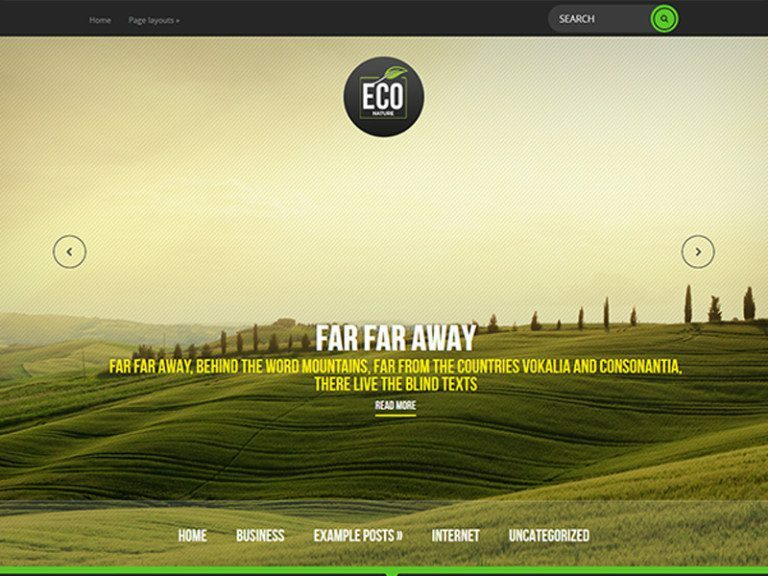 EcoNature is the Organic WordPress theme targets for bloggers who love theme with clean and neat design. Firstly, it comes with impressive full-width slider design and posts is a special feature, hence, put your content into the spotlight. In addition, it is 100% responsive, shortcode and perfect for your website. 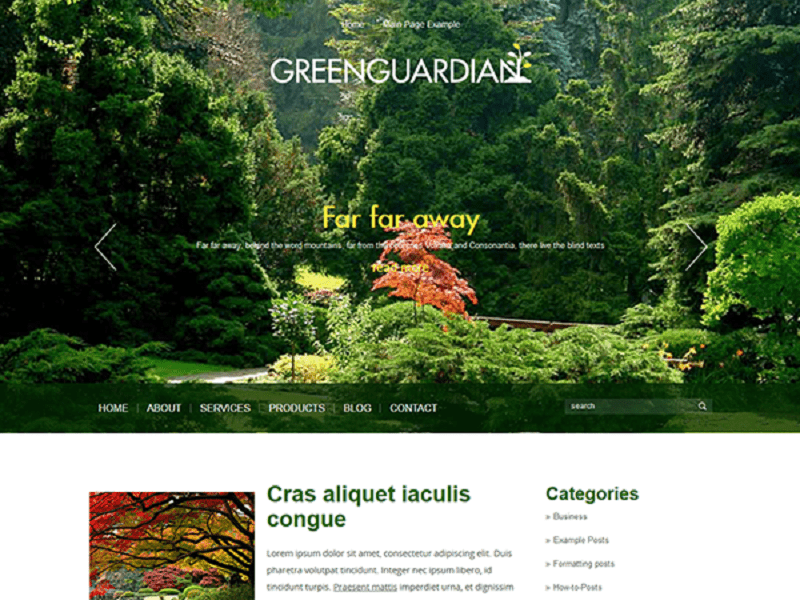 GreenGuard is one of the perfect choice to create Organic WordPress theme, it has the soul of nature and its appearance is freshness. What’s more, The main color is green which stand for hoping and it makes you to be fresh and full energy for a start of new day. With its rich and active color, we created this premium theme for you and it can be edit and customize easily. Moreover, it is adaptable with any screen solution, hence, make it easy for your customers to investigate your website. 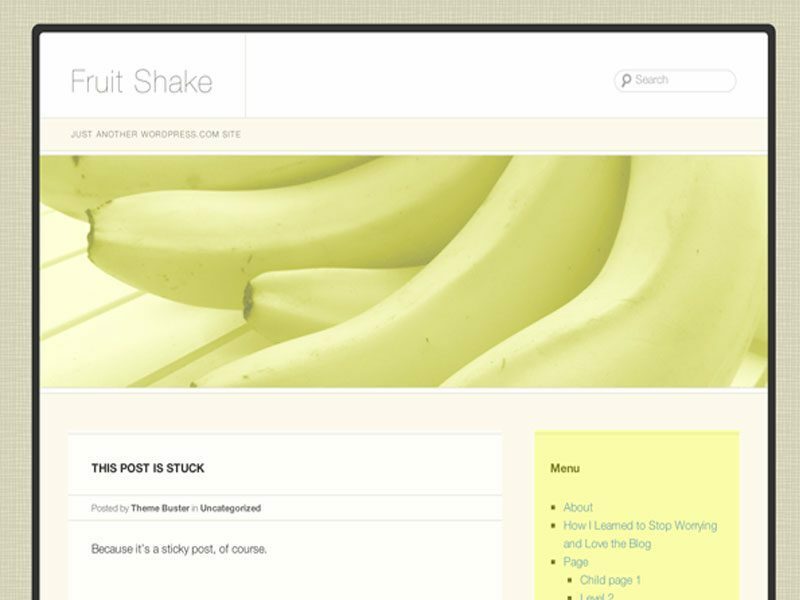 FruitShake has the characteristic of Organic WordPress theme. It has option, a column, layout tumblelog, and many awesome features such as custom headers, backgrounds, and menu. Moreover, it is responsive layout and creative design, hence, your content will stand out from the other. 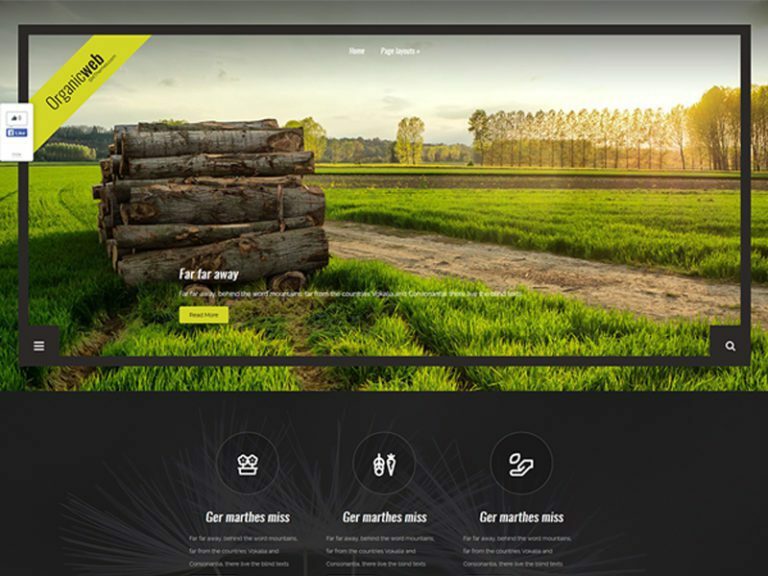 Bring the warm and eye-catching design, GreenGrass is the Organic WordPress theme. It targets for nature as well as organic products. Besides, the theme has user-friendly interface to attract traffic easily, fully responsive layouts that suitable for desktop and mobile devices. 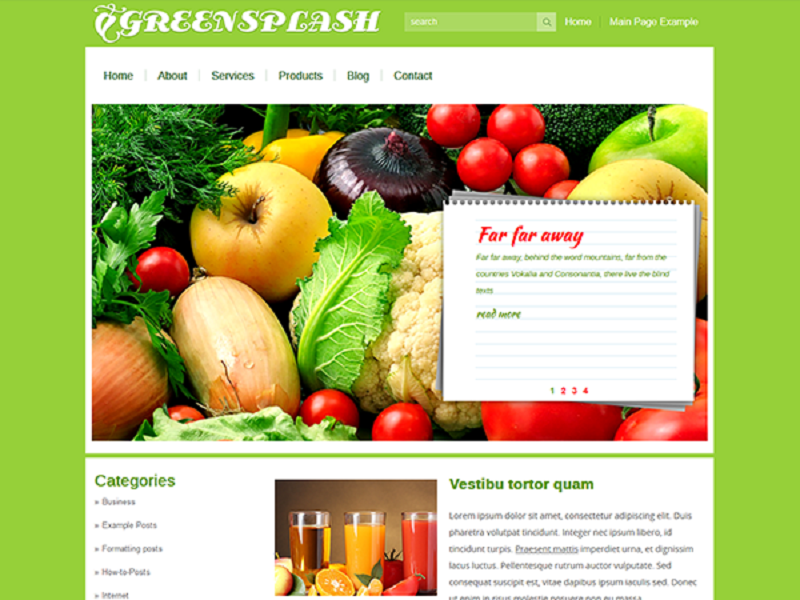 If you want to create the fantastic Organic WordPress theme, it’s a shame you do not know GreenSplash. Firstly, with main color is green that stands for vibrancy and zest, a premium theme comes with free download. Furthermore, it has a big slider, great post layout, and responsive design. Last but not least, it is extremely fit with any mobile device and tablet. 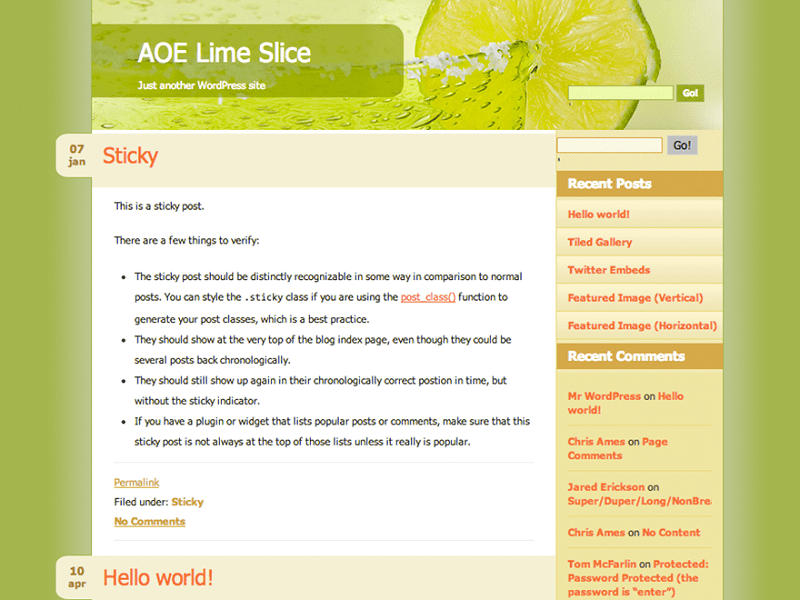 Lime Slice design by the professional engineers of WordPress, it has modern design but close to nature, fresh and organic products. Besides, it provides user-friendliness interface, color panel picker, and Admin panel, hence, users have the most pleasant experience while investigating. This is our collection of Top 15 Organic WordPress theme, we hope that you can benefit from this list and create your ideal Organic website. Just come and take it! Thanks for your reading!